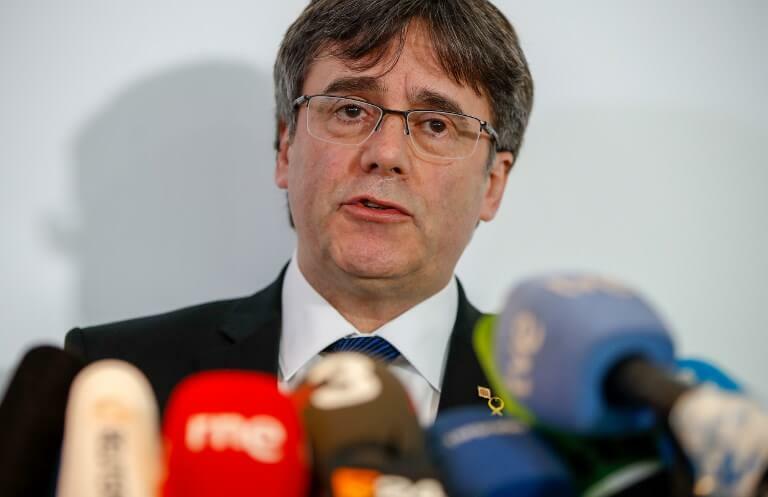 Catalonia’s former leader Carles Puigdemont has said that the high-profile trial that started today in Madrid of 12 ex-colleagues involved in a secession bid was a ‘stress test for Spanish democracy’. It was also ‘a test for Spain’s judiciary’, he said in Berlin a day after attending a film gala along with Chinese dissident artist Ai Weiwei. In October 2017, independence leaders held a banned referendum that was marred by police violence, followed by a short-lived declaration of secession. Puigdemont left Spain for Belgium with several colleagues days later. On Tuesday, the 56-year-old questioned why the European Union was ‘more concerned by what is going on for example in Venezuela than what is going on in Madrid,’ referring to the bloc’s decision to call for new presidential elections in that country.